Here's a webinar that I did in 2013 where I first introduced the idea of R.E.A.D (Rapid Expert Advisor Development) to about 100 people who had never coded before. The response was really good and the audience were asking lots of questions. They seemed really excited about the simple technique that I'd come up with to help them start coding their own Forex strategies. It's an easy, template approach to building expert advisors in MQL4 and is ideal for novice coders. If you've never tried to program before or if you've tried and maybe didn't do as well as you'd wanted to, then this is perfect for you. 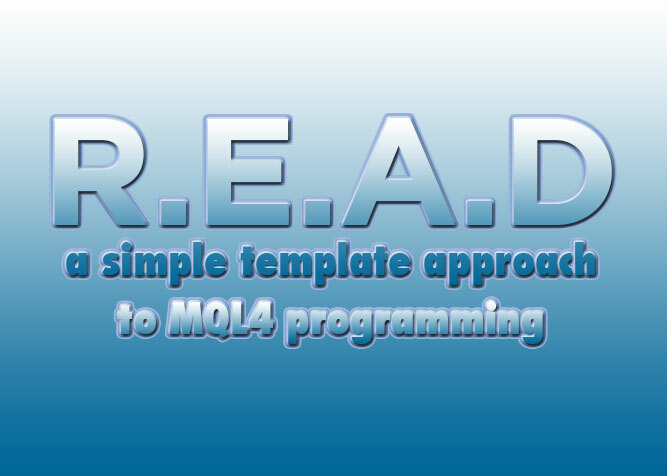 If you would like to grab a copy of the R.E.A.D template, video training and a full year of access to the support forum then visit the MQL4 Made Easy page. You can pick up the whole bundle for only $9 and be coding your own EA's in as little as 60 minutes ! I was trying to learn MQL4 on and off for a few years but always ended up throwing in the towel. I found it too frustrating and was getting really annoyed with myself. Tried your template approach a couple of weeks ago and BOOM! It was definitely an eye opener for me and cleared a lot of things up for me. I wouldn’t say I’m an expert by any means but I’m certainly seeing things in a whole different light now. Thanks for your comment Murph and I’m really glad you found the template approach useful. I think it’s the fact that I’ve removed all the confusing bits of code out of the main development and so you can just focus on the important things. If you have any problems or questions feel free to post them in the forum. Is your R.E.A.D. template updated for the lastest MQL4 version to use object-language coding? Thanks. Thanks for your question. MQL4 doesn’t use OOP, that’s MQL5. The latest build of MT4 allows you to use pure MQL4, a hybrid of MQL4 and MQL5 or pure MQL5. All the benefits of using the template that I mention on the sales page are just as relevant no matter what version of MT4 you’re using, so don’t let all the misinformation and confusion surrounding build 600+ stop you from taking advantage. Hope that answers your questions but if not just let me know. I was wondering whether your R.E.A.D template (or a similar version) will help me to progress easily into a hybrid of MQL 4 and MQL 5 taking advantage of the best of both when I learn more about OOPs and wanted to use it. 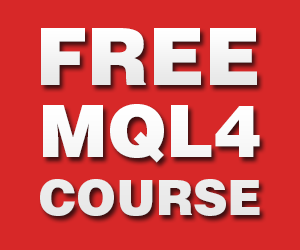 The template will help you to learn pure MQL4 and how EA’s are structured. That’s the first step. Once you are comfortable with that you can start to expand your knowledge and add some of the newer features that are introduced with the hybrid approach. Try to avoid buying into all the hype about OOP etc. OOP has it’s place and can be great for some projects but is not necessary for everything. People have been coding very effective EA’s in MQL4 with no OOP since 2005 and continue to do so. If you’re set on learning OOP then you should just go straight to trying to understand MQL5 but it’s a much steeper learning curve than MQL4 so be ready for some serious headaches and frustrations.